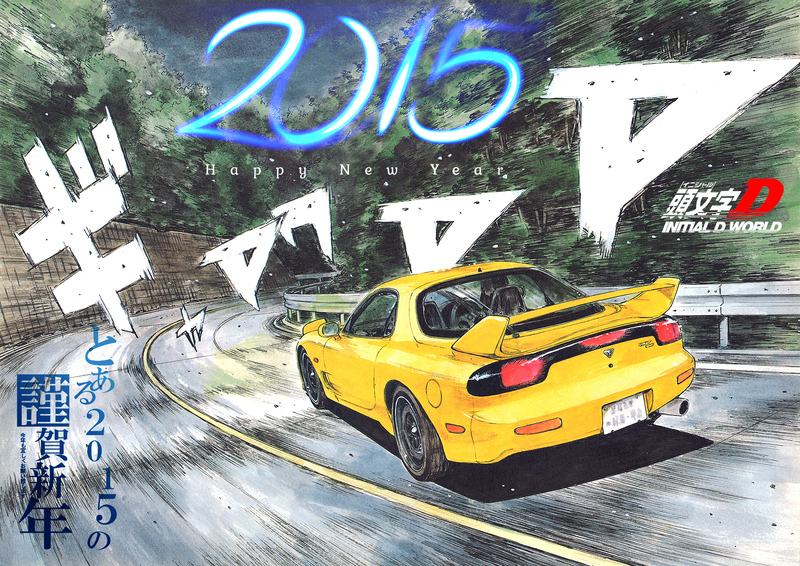 Initial D World - Discussion Board / Forums -> Happy New Year 2015!! And the last hours of 2014 are slowly ticking away. It's been a pretty great year in the world of Initial D. We had the release of Final Stage that at last wraps up the original story. Then we were introduced to the first part of the trilogy to the New Initial D The Movie. Though, most of us still haven't seen the latter due to the fact that it was a theatrical release. But fear not, the Blu-ray version of it was just released in Japan few days ago. It shouldn't be long before us overseas fans get to watch it. Central Anime Fansubs has already confirmed they will be translating the new movie Legend 1: Awakening. In fact, there is a 7-minute-long leak (http://goo.gl/uEgeaq) of the new movie from a few months ago. Though, the quality is horrendous.So wait for the quality stuff, guys! 2015 will mark the 20th anniversary of Initial D. Yes, Initial D will be officially 20 years old. There will be many events celebrating this for sure. The second part of the trilogy will also be released in May 2015. We will continue to bring you latest Initial D news going forward. We would like to wish everyone a great start in the year 2015 !! Image size reduced, original size: 1800 x 1274. Click here to view the image in its original dimension. Definitely sure was an amazing year and 2015 will be even better. Having the bluray disc will be exciting to watch at home. In GMT+8, we are not 2015 yet. Wish all of you already in 2015 a happy new year! The 7 minute leak confuses me. Where did it come from and why only 7 minutes? It's not a cam in a theatre for sure, and I found a source that actually uploaded it on August 23rd.